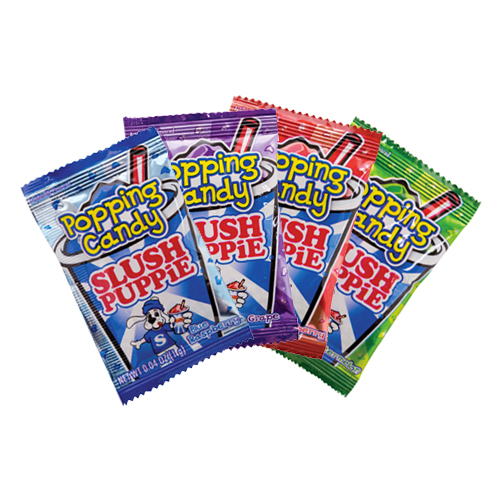 It's SLUSH PUPPiE® Popping Candy in 1.75in x 2.75in size! 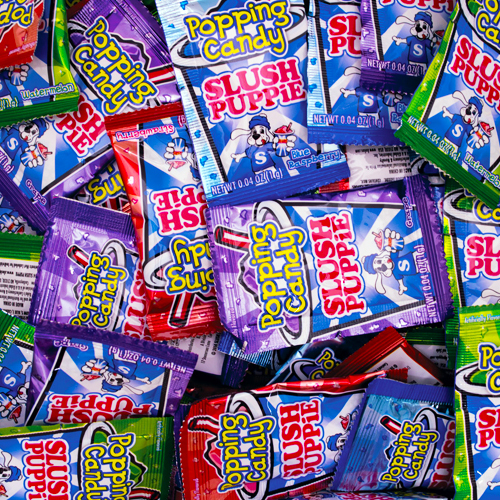 SLUSH PUPPiE® Popping Candy packets are perfect for party bins and piñatas. SLUSH PUPPiE® Popping Candy comes with four assorted flavors: Strawberry, Blue Raspberry, Watermelon & Grape.